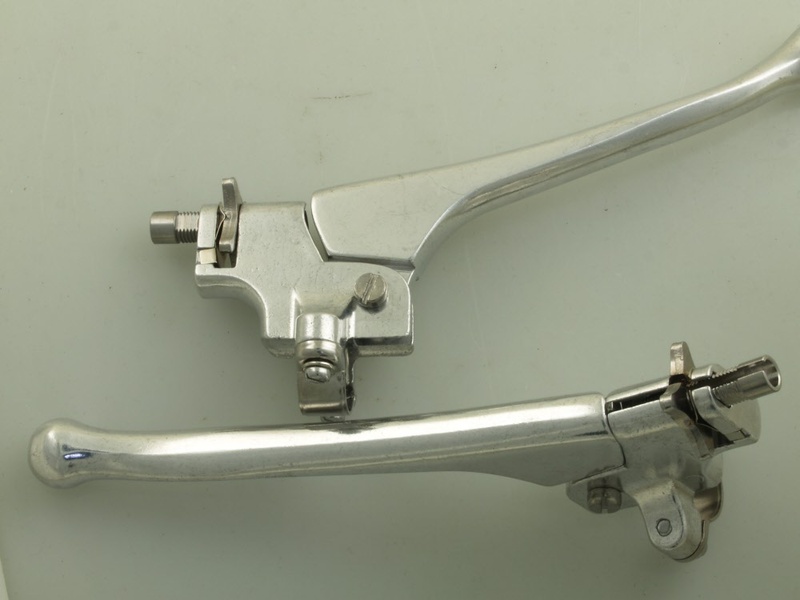 LH COMBINATION PLAIN END 7/8"
RH COMBINATION PLAIN END 7/8"
Brake, clutch and air lever combined as used on many 1960's Triumphs Nortons and BSA's. 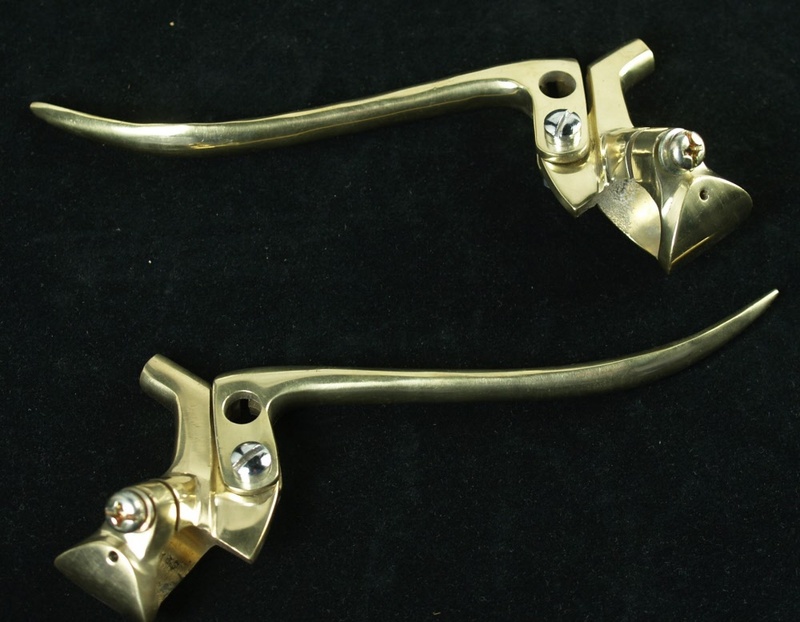 ALLOY LEVERS 7/8" BALL END, ADJUSTER, Pr. 7/8" Diameter, ball end , loose adjuster. 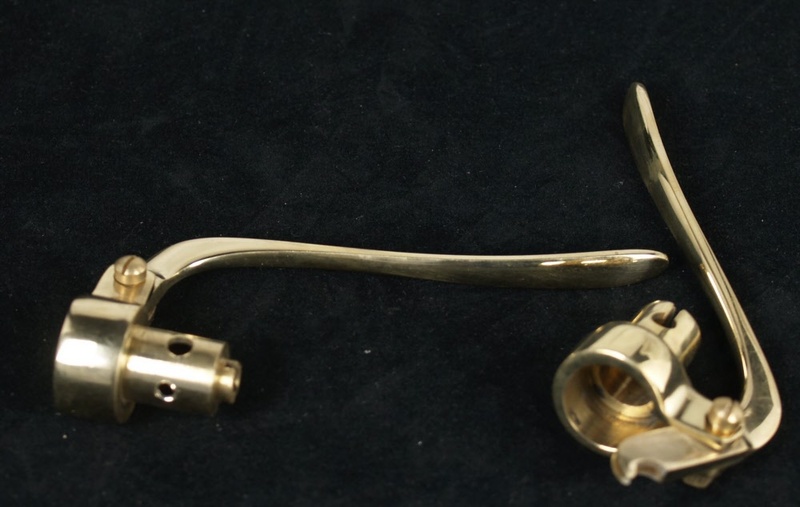 Brass levers in prewar BSA style. Fit snugly inside 7/8 bars. The best store builder by ShopFactory powers D290. All-in one store builder and eCommerce software.